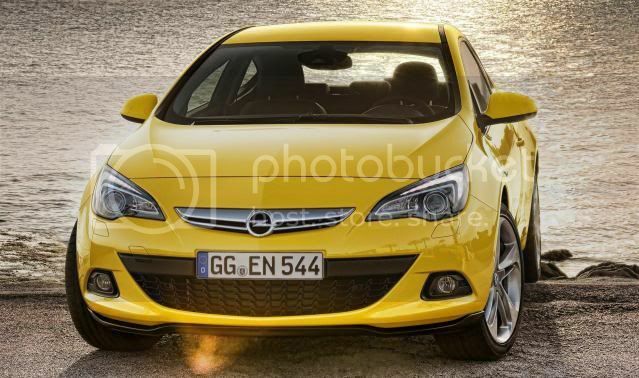 GM has unveiled the Astra GTC, ahead of its world debut at the Frankfurt motor show. With four turbocharged engines, a revised chassis, and a 6 speed manual at your disposal, prices in the UK start from £18,495 for the entry-level Sport, or €21,750 in Germany. The former price tag undercuts the base Volkswagen Scirocco by £1,100. Handling has been improved thanks to a 15mm lowered ride height, an additional 10mm to the wheelbase at 2,695mm, wider front and rear tracks by 40mm and 30mm, and bespoke HiPerStrut suspension. 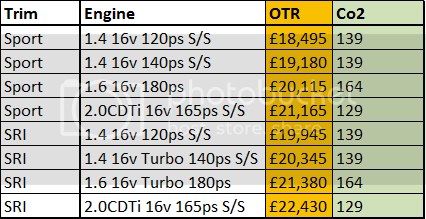 The four turbocharged engines will include two 1.4T producing 119bhp (120PS/88kW) and 138bhp (140PS/103kW) with 200Nm (147lb-ft) of torque, a 1.6T with 177bhp (180PS/132kW), and a 2.0 CDTI that kicks out 163bhp (165PS/121kW) and 380Nm (280lb-ft) of torque. No automatic transmission will be available so customer's are limited to a slick-shifting 6-speed manual gearbox. In the pipeline, a range-topping VXR/OPC variant will join producing around 286bhp (290PS/2013kW) from a 2.0T petrol unit. Two trim-levels will be available in the UK; a base Sport and SRi. The Sport is equipped with 18” alloy wheels, DAB digital radio w/USB port, steering-wheel mounted audio controls, height adjustable driver's seat, electric door mirrors, and electric front windows. The SRi trim features a leather steering wheel w/cruise control, trip-computer, tinted windows, and front fog lamps. Adaptive bi-xenon headlamps w/LED daytime running lights, satellite navigation system, FlexRide adaptive suspension system, upgraded audio system, and a range of alloy wheels will be offered optionally, ranging upto 20”. 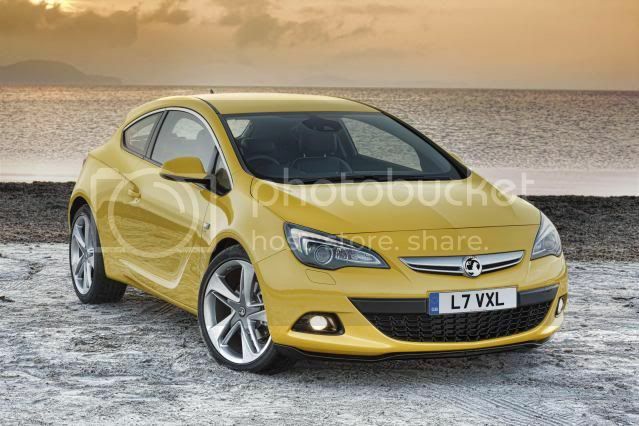 Vauxhall claims upto 20% of Astra sales will go towards the GTC due to its practicality. 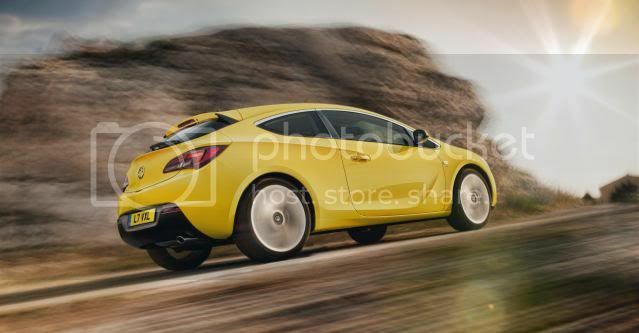 Mark Adams, design chief of Vauxhall/Opel said in a statement: "We wanted the Astra GTC to be the ultimate expression of Opel's design language ‘sculptural artistry meets German precision' and to embody our passion for the automobile." 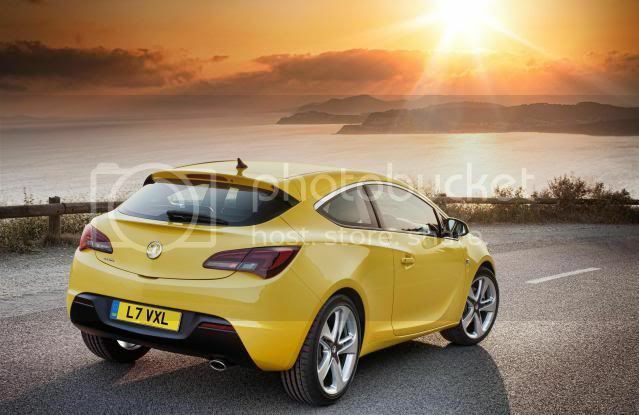 Adams said in a Vauxhall statement: “We wanted the Astra GTC to be the ultimate expression of Vauxhall’s design language, and to embody our passion for the motor car,” said Mark Adams, Vice President of Vauxhall/Opel design. “But we didn’t want emotion to get in the way of functionality: the Astra GTC still needed to be clever, affordable and practical.”. Order books opened yesterday, ahead its world debut at the Frankfurt motor show in September. 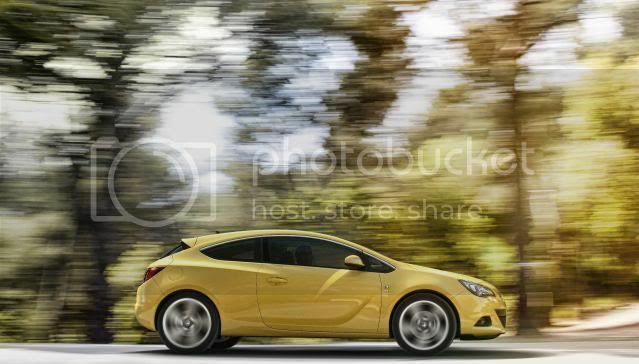 The new Astra GTC stands out with sharp design and driving capabilities. On the outside, sculpted shapes with precise accents add drama to clean, sweeping coupé lines. 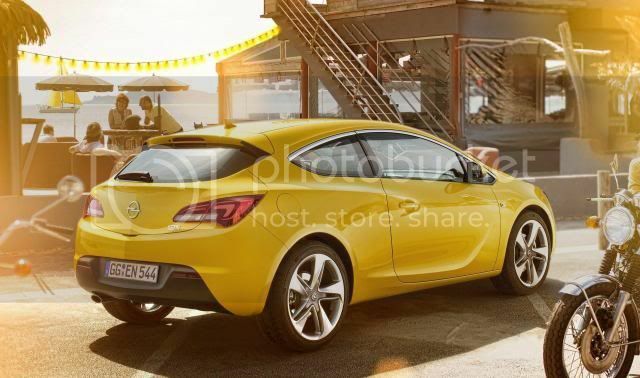 And on the road, all Astra GTC versions benefit from a premium front axle layout with HiPerStrut - High Performance Strut - that ideally combines with the clever Opel patented Watt's link rear axle to provide unmatched stability and the sharpest driving precision. Only very few, radical sporty cars in the segment offer such a sophisticated front axle architecture. "The Astra GTC is the sporty member of the Opel family," says Karl-Friedrich Stracke, Chief Executive Officer of Opel/Vauxhall. "It has been designed and engineered in our facilities in Rüsselsheim to be a highly desirable sports coupé with invigorating driving performance while remaining affordable, roomy and flexible. We're convinced that it will bring a breath of fresh air into the sports compact segment". 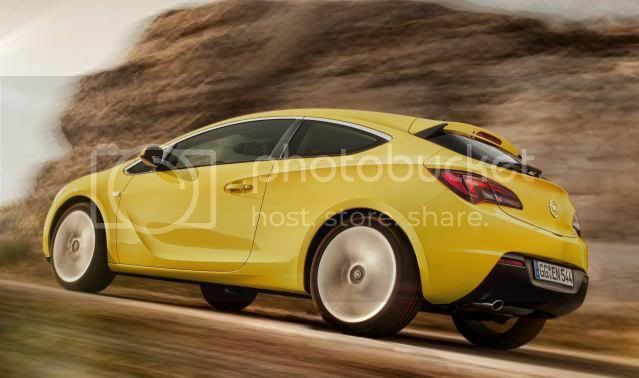 The new Astra GTC is very much inspired by the Opel GTC Paris Concept revealed last fall at the Mondial de l'Automobile in . 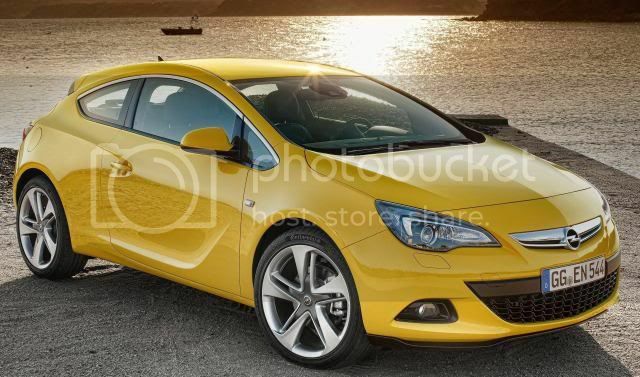 A compact, sporty five-seater with coupé appeal and dramatic proportions, the Astra GTC has a unique design: it does not share any exterior element with other members of the Astra family, except for the outside rear view mirror housing and the rod antenna. Six of the seven 17- to 20-inch wheel designs on offer are also GTC-only features. "We wanted the Astra GTC to be the ultimate expression of Opel's design language ‘sculptural artistry meets German precision' and to embody our passion for the automobile," says Mark Adams, Vice President, Opel/Vauxhall Design. 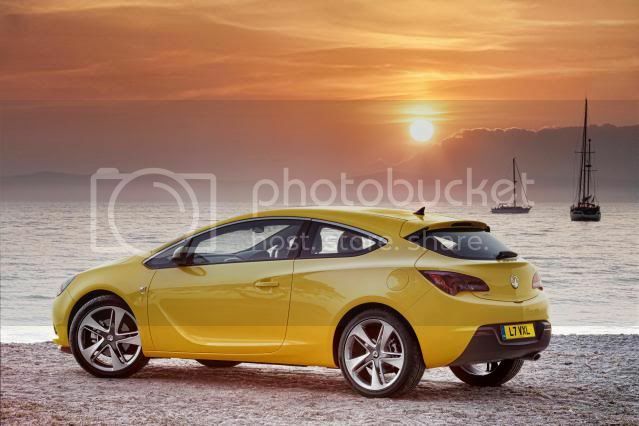 "However, we did not want emotion to overshadow functionality: the Astra GTC is a clever and affordable dream car." In profile, the designers have maximized drama by limiting the amount of lines: just three create tension and sculpt the shape of the Astra GTC. A fine, crisp line that sweeps downward from the front door to the bottom of the rear fender and energizes the body side, the Opel signature blade is introduced in the same direction as in the Insignia. A second line encapsulates the door handle and stretches to the rear, emphasizing the GTC's dramatic stance by spreading the surfaces to a fine undercut and a broad shoulder. The third line following the clean, sporty silhouette of the roof is finished in chrome and accentuates the window graphic, which guides the eye to the sharply integrated spoiler. 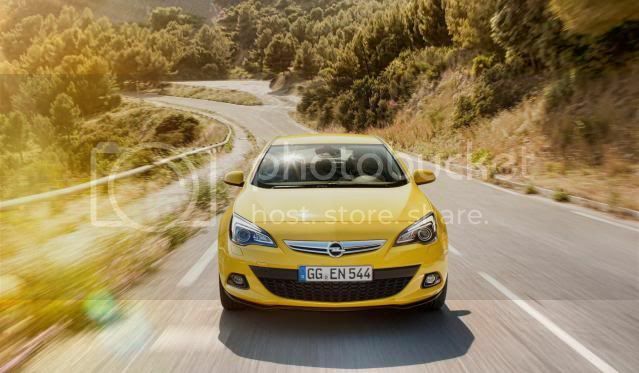 The clean front features Opel's typical centerline crease and is accented by intense, slim eagle-eye designed headlamps featuring "wing-shaped" daytime running light graphics. These act as parentheses around the refined chrome emblem bar and the separate, dramatic trapezoidal grille, which is placed lower for a race track feel that hints at a sporty character. 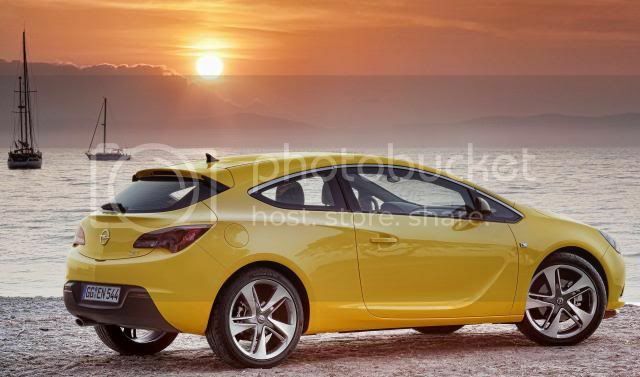 The shoulder section is the most dramatic area of the Astra GTC. Its powerful design gives the car imposing proportions and a very purposeful road presence in highlighting its low, wide road-holding stance. The line from the C-pillar slides into the tail and curls around into the rear spoiler, which is ingeniously integrated into the continuing roof line. Optional LEDs highlight the stretched "wing-shaped" motif of the tail lamps. The layout of the rear axle combines a compound crank with a Watt's link. 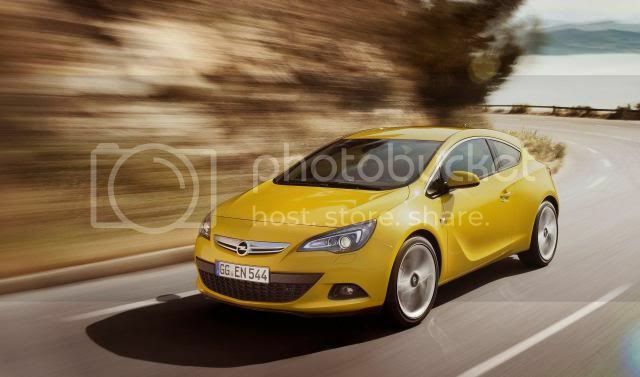 This clever construction, exclusive to Opel, has demonstrated its multiple benefits in the Astra already. While it is lighter and more compact than a multi-link axle, it provides great comfort, excellent noise insulation and outstanding stability/control. The Astra GTC chassis has been designed to perfectly integrate Opel's intelligent, fully-adaptive FlexRide chassis control system. It enhances driving stability with better cornering behavior and steering response by automatically adapting to road conditions, cornering speed, vehicle movements and individual driving style. Better road holding and vehicle balance also enhance driving safety in emergency situations. In addition, FlexRide offers three different settings, enabling a change to the car's character on demand by the push of a button: one can choose anytime between the balanced Standard mode, the comfort-oriented "Tour" mode or the more active "Sport" mode. 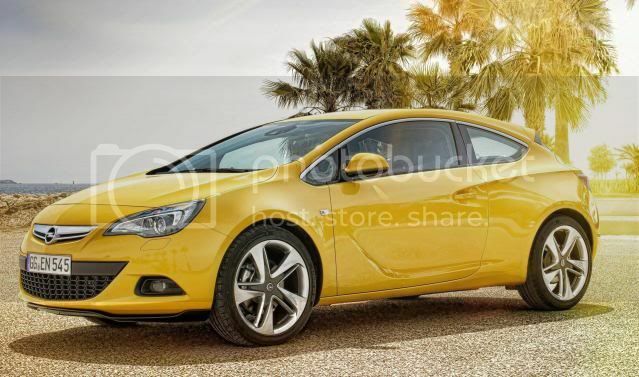 The Astra GTC can be ordered immediately with a choice of four powertrains - one diesel and three gasoline units. The upgraded 2.0 CDTI common-rail turbo diesel engine with output raised to 121 kW/165 hp is fitted with a diesel particulate filter and a six-speed manual transmission. 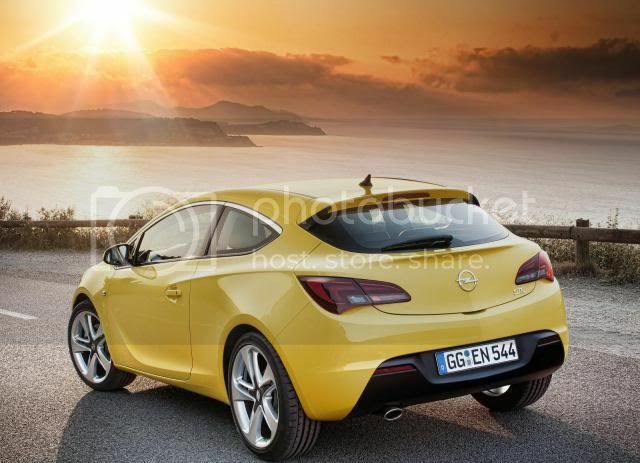 Opel's new Start/Stop technology which reduces fuel consumption in urban stop and go traffic is standard equipment. The 2.0 CDTI combines excellent performance with high efficiency. It delivers up to 380 Nm of torque thanks to an overboost function and allows the Astra GTC to reach 100 km/h in 8.9 seconds. Top speed is 210 km/h. The combined fuel consumption does not exceed 4.9 liters of diesel per 100 km and CO2 emissions are 129 g/km. 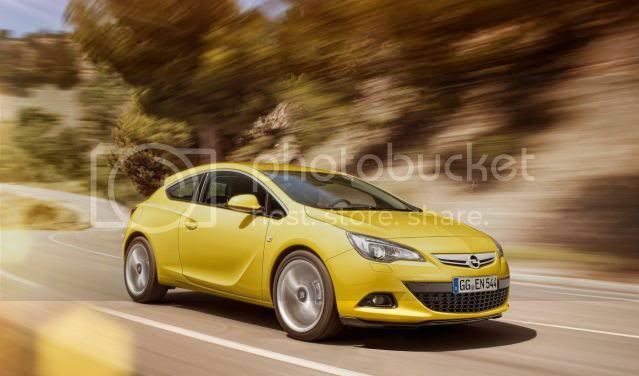 With its 56-litre fuel tank, the Astra GTC 2.0 CDTI can cover over 1,100 km. 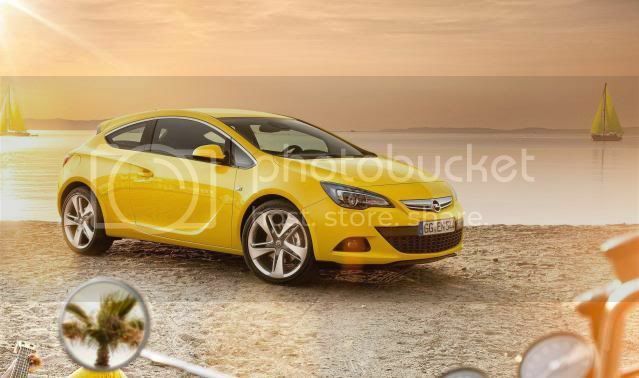 Whatever the engine, driving an Astra GTC is a rewarding experience thanks to its outstanding chassis. Fun - as well as safety - can be enhanced by a host of innovative systems. 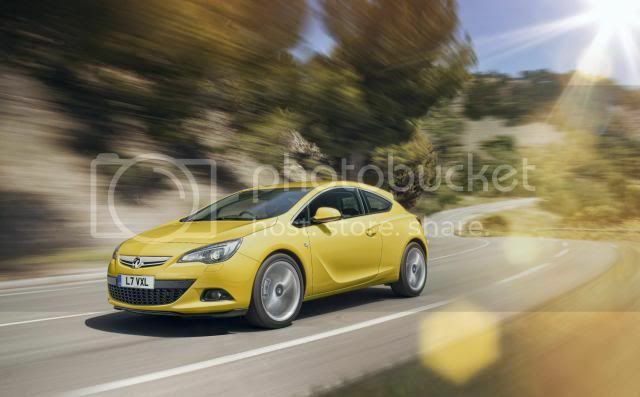 The new, fourth-generation Bi-Xenon Advanced Forward Lighting (AFL 4) makes its debut in the Astra GTC. In addition to the nine functions from AFL+ - which include a High Beam Assist that switches the high beams on and off depending on the presence of other vehicles - it can be enhanced with an Intelligent Light Ranging system (ILR) that uses the front camera from the Opel Eye to measure the distance from the vehicle ahead and adjust the headlamp low beam pattern. This allows it to continuously optimize roadway illumination without blinding. 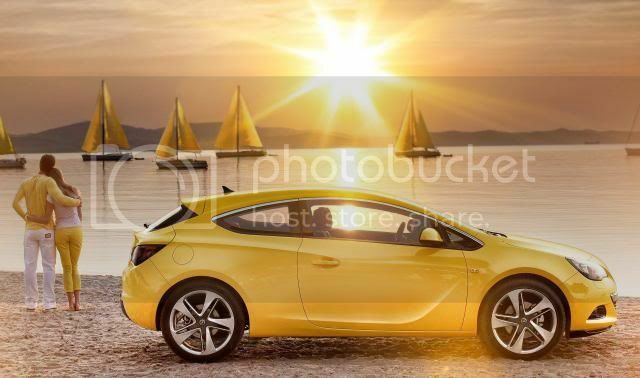 With these ten functions, the Astra GTC features the best lighting package in the segment. 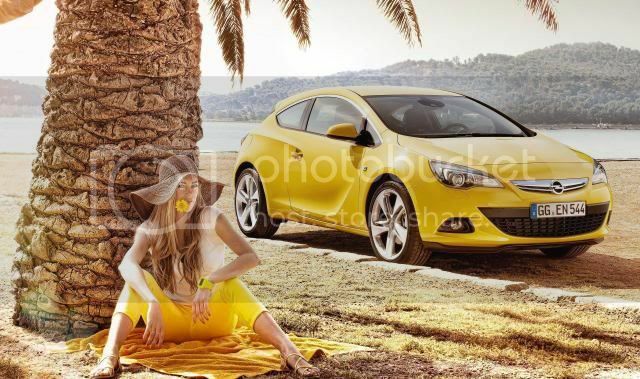 Compared to its competitors, the Astra GTC does not compromise on functionality despite its coupé-like design. It does not only accommodate five persons in its cockpit, its flexible luggage compartment also provides 370 to 1,235 liters of space - over 200 liters more than the competition. The storage volume in the cockpit has been improved by 50% over the previous generation GTC, also thanks to the electric park brake that frees up space in the center console - exactly where storage is the most accessible. 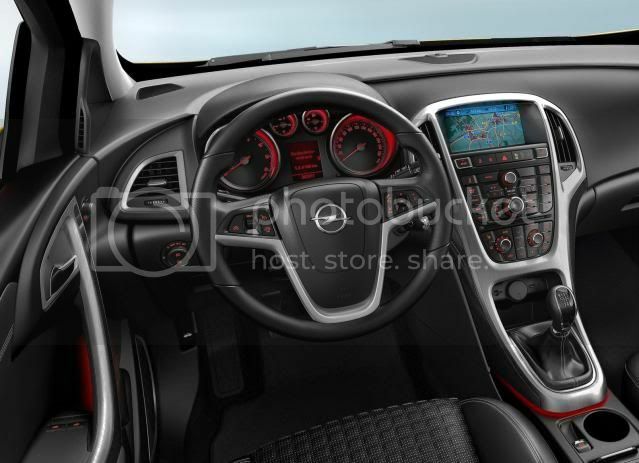 The design of the Astra GTC high quality cockpit combines sculptured shapes and dynamic lines, and its distinct sporty character is enhanced by new fabrics, colors and decors on both the Enjoy and Sport executions. New premium leather trims mixing Alcantara and Nappa applications are available. The standard sport steering wheel with enhanced grips also highlights the GTC's exciting character. 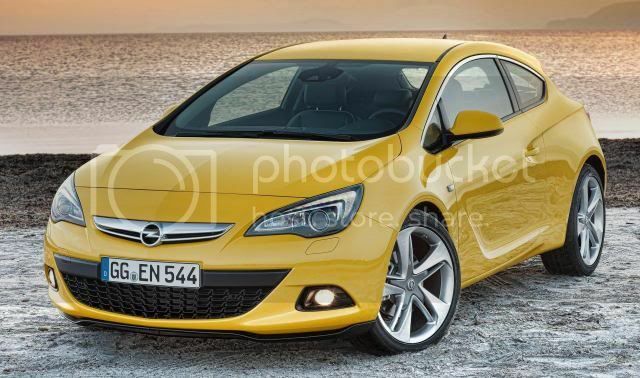 The Astra GTC has been designed and developed at Opel's in Rüsselsheim and will be built in .